Hope you are all doing well? Since i have been loving experimenting and really getting to grips with a skincare routine that suits my skins and works for me I have another skincare related post for you all today. 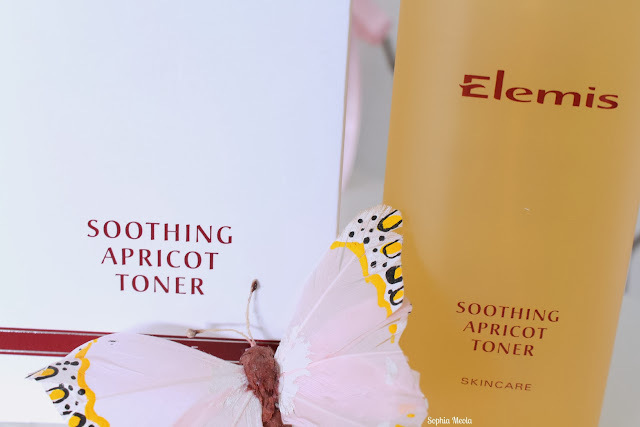 I was recently sent the Elemis Apricot Toner to try out and i really have been loving using it and incorporating it within my current routine. 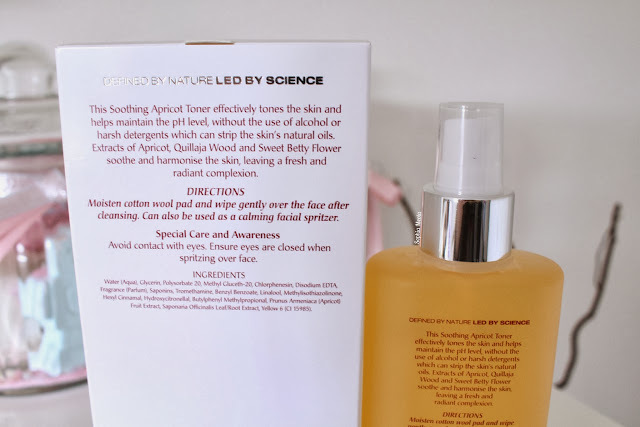 I have been taking extra care lately and sticking to my routine, woohoo, so i thought i would share with you this discovery and also an online exclusive which Debenhams are currently providing that i think you might all like. Just like in the name, the Elemis Soothing Apricot Toner has extracts of fragrant Apricot which soothe and harmonise which leave your skin feeling extremely fresh and radiant in appearance - i absolutely adore skincare products that leave my skin looking glowy and radiant. Elemis state that it is ideally suited to extra sensitive, delicate and hormonal skin, so this sounds perfect for that time of the month when mother nature calls. This alcohol-free toner is so gentle it can also be applied to cotton pads and can be used as a soothing eye treatment. Ever since incorporating the Apricot Toner within my skincare routine i have really noticed a difference, especially with the overall appearance of my skin. Using this product alongside the La Roche Posay Effaclar Duo have definitely been a match made in heaven, I have really been enjoying using it after using a facial wash or exfoliant and before applying serums and moisturisers. According to Elemis it helps maintain the PH levels in your skin by not using harsh detergents or alcohol ingredients which strip the skin of overproducing oil which causes the breakouts and imperfections...instead the formulation has extracts of Apricot, Quillaja Wood and Sweet Betty Flower that have a soothing effect which feels so soothing and refreshing on the skin. The packaging is really simple and classic and fits in with the rest of the Elemis line which i really like. I also really love the fact that the bottle comes with a spray application rather than a pour or squeeze options as for some reason it makes it feel even more luxurious and spa like spraying it onto a cotton pad...crazy i know haha. It could also be used as a refreshing facial spray which is great for those days when your skins needs a little more tender loving care. A little does go a long way which is the case with all of the Elemis products i have tried so far and the sent is extremely scrummy and reminds me of the summer time which is fabulous for these cold winter nights we are currently enduring. Now for the online exclusive i briefly mentioned above. Winter might be just around the corner but don't let the plummeting temperature and dark evenings play havoc with your skin. The ultimate radiance collection is an online exclusive on the Debenhams website and contains all of your beauty essentials, ensuring you achieve the most from your complexion every day. Encased in an Elemis travel bag, this is the perfect collection to ensure your skin stays beautiful on the go without breaking the bank. The luxurious collection is an online exclusive to Debenhams and is a purse-pleasing £39.50 with products worth over £70 making it a great collection with an incredible saving, the perfect excuse to treat yourself or a loved one now the Christmas season is looming. I am seriously considering purchasing a few of these as stocking fillers this year and i love the fact the set contains full sized products also, rather than all mini variations. 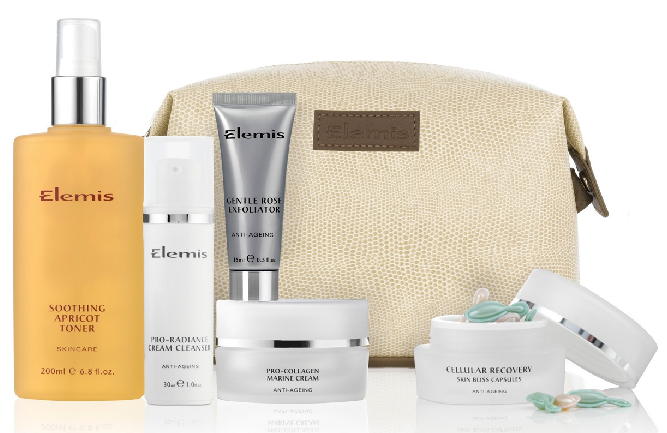 Also, Debenhams are also offering a free gift with any two Elemis purchases at the moment...which i just saw in the website and it is extremely tempting haha. 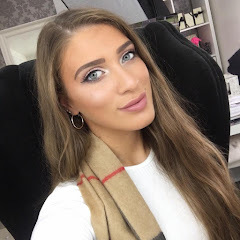 I hope you all enjoyed this Elemis Skincare post, i would love to know what you think and any skincare product recommendations you might have? If you would like to purchase Elemis online you can do so at Timetospa.com & Debenhams.com Like always lovelies, if you have any questions, requests or if you just want a chat you can contact me on my social media or leave me a comment below. I love hearing from you and i make sure to read every single comment...they really make my day! Oh that toner sounds gorgeous, my skins been up and down lately so need something nice and soothing! This is one of my favourite hydrating toners! This sounds really lovely. That set is a great deal!